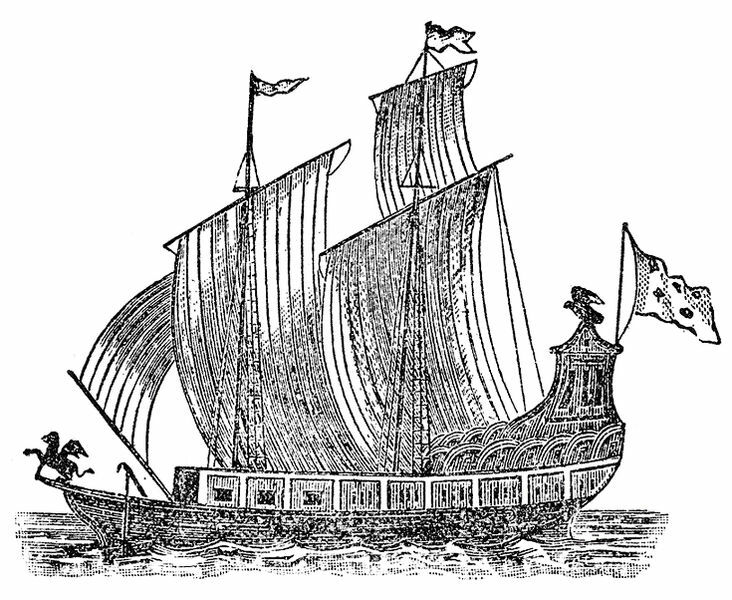 First ship to sail Lakes, Erie, Huron and Michigan, the "Griffon", probably 12-14 metres long, was built by Robert Cavelier, Sieur de La Salle, several kilometres above Niagara Falls in 1679. La Salle came to New France in 1667, became seigneur of Cataracoui (Kingston), engaged in the fur trade and sought a western route to China. 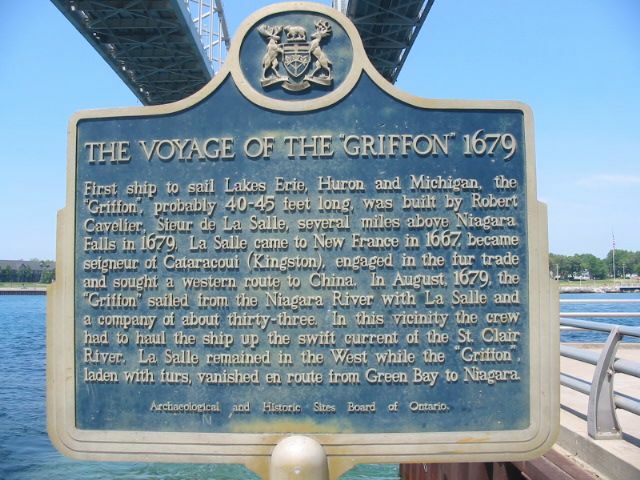 In August, 1679, the "Griffon" sailed from the Niagara River with La Salle and a company of about thirty-three. 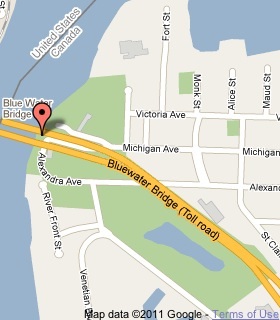 In this vicinity the crew had to haul the ship up the swift current of the St. Clair River. 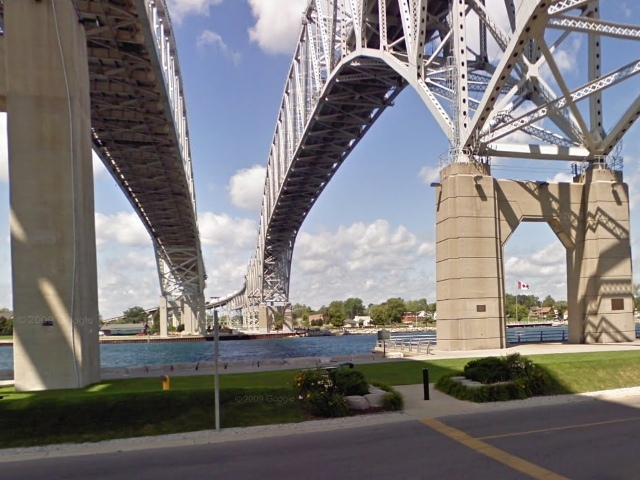 La Salle remained in the West while the "Griffon", laden with furs, vanished enroute from Green Bay to Niagara.